As more travellers visit Calgary, Canada, its destination marketing organization (DMO) uses advanced new research to shape strategic planning. The city welcomed almost seven million people in 2017, which reflects a rise in leisure travellers. Meanwhile, what are Calgary’s visitors and residents saying about the city? 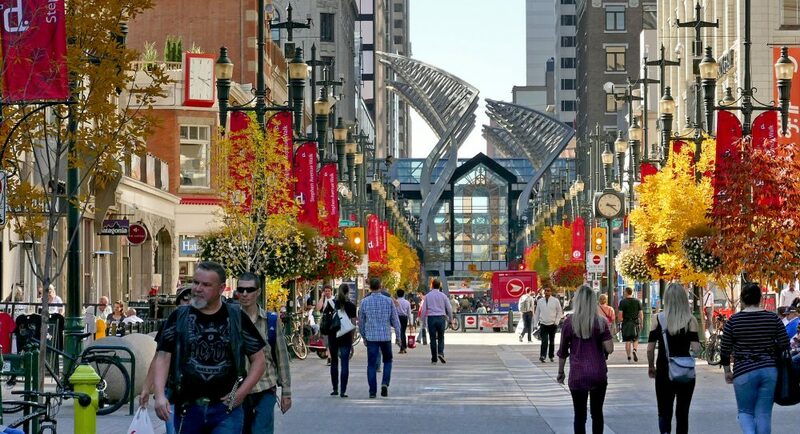 Starting in 2016, Tourism Calgary began to find out in detail. Sentiment analysis allows destinations to measure and benchmark online word of mouth at a massive scale. Destination Think!’s methodology is designed to help DMOs easily understand how people perceive the destination and its tourism assets. At the DMO, these insights affect everything from strategic decisions, to branding, to campaigns, and communication with stakeholders. The Destination Think! team has worked with Tourism Calgary for a number of years. We asked Jeff Hessel, Senior Vice President of Marketing at Tourism Calgary, how sentiment analysis has helped his team to make informed, confident destination marketing decisions. Destination Think! : How did sentiment analysis support your team’s work on Tourism Calgary’s brand evolution? Jeff Hessel: Sentiment analysis was one component of many pieces of research for our brand evolution project, but a critical one. We used social listening to observe how people outside of Calgary perceived our city. It allowed us to look at almost 10 million unprompted conversations over a two-year period which provided us with rich data on people’s views and knowledge of Calgary. It also allowed us to understand what experience or elements of our destination generated engagement, sharing, and conversation. Did sentiment analysis help you provide more value to stakeholders, whether tourism industry or residents? If so, how? When sharing our brand evolution research with our partners and stakeholders, it was the sentiment research which really validated the results and provided confidence. Being able to observe and analyze millions of conversations from multiple digital sources is very powerful. The information was able to confirm or contradict our local biases on traveller’s perceptions. Can you describe the role sentiment analysis played in developing the 2016 LoveYYC campaign? During the economic downturn that was happening in Alberta in 2016, we knew the mood of Calgarians was low but had no solid way to quantify this fact. Sentiment analysis allowed us to measure and compare the positive vs. negative sentiment of local conversations to demonstrate a significant negative change in Calgarians’ conversations in just one year. We also had the ability to identify what was driving both negative and positive conversations in Calgary. This knowledge was essential to the development of our strategy on a local engagement program that was designed to create more positive conversations in our city. One of the key observations from the sentiment analysis was the strong use of the word “love” in Calgarians’ positive conversations. This insight was the key component that drove the #loveyyc program. Can you share any significant sentiment examples, positive or negative, that have affected the way you think about the influence of word of mouth? In 2015, we observed a great example of locals’ influence on a traveller’s planning decisions. A European traveller coming to Calgary for three to four nights posted a request on TripAdvisor for recommendations on things to see and do in Calgary. Locals that responded to his post recommended few experiences in their city and encouraged the traveller to move on to the Rockies. In the end, the European traveller was discouraged from staying in the city and cancelled all but one night in Calgary. It was an example that shows us how our locals’ recommendations can make a huge impact and demonstrates that locals are vital advocates for a destination. Is there anything else you’d like other DMOs to know about sentiment analysis? Sentiment analysis can be a powerful resource for DMOs. As with all large digital data sources, the amount of data that is available is immense. In this case, it’s valuable for capturing unprompted feedback from your target audiences. However, before conducting sentiment analysis, your team should be very clear about the exact information you require, how it will inform your strategies, and how it will be communicated by your organization. This will make the most of the data and its insights into your destination.